I thought I would let you all know how I am getting on! So, I secured the services of a tip top trainer this week in the form of school mum Michelle Green who is a whizz at exercise, diet and sports therapy so she has offered to oversee my training regime. I know I am in good hands. Please feel free to follow my regime at home if you like and let me know how you get on…. 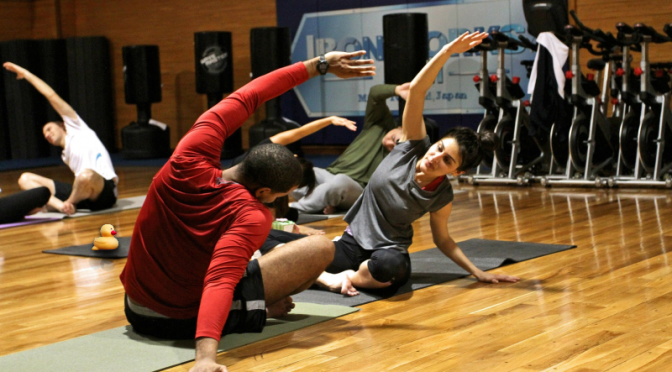 You can make or break your training session before it even starts! Prepare your body and your mind for what you are about to do to get the most out of it and make sure you don’t injure those wings. Start gently with a waddle or a few laps of the pond to get the muscles warm and think about what you’re going to do. After a few minutes increase the pace a little, you should start to feel your heart beating a bit faster under your feathers. Time to move on to some specific exercises so get those wings circling, beak to feet, wing tips to the ground at the side of you. Repeat each of these 10 times. The important thing to remember about a warm up is that it should be ‘dynamic’ so keep moving. After a few more minutes of these you should feel ready to hit the pond for a good workout. Wow, I feel great now, ready to take on the world……what’s next Michelle?? 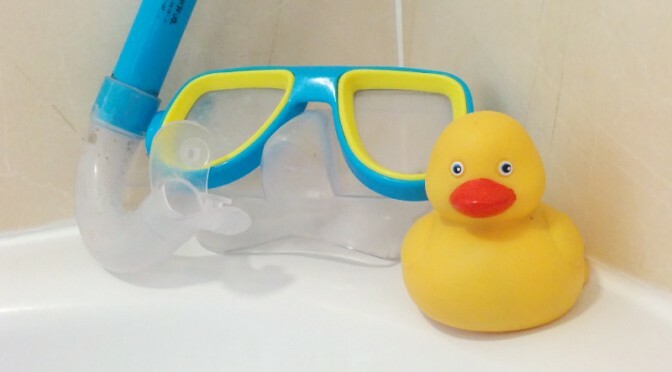 I know, I know, I know…..
It’s been a while since I last posted anything but I have been travelling in warmer climes since my heroic efforts in last years’ Storrington Duck Race. You see, I was spotted by an elite Duck Racing Crew (DRC) and I was invited to travel to their top secret training camp in America (where one of my lesser known relatives called Donald is from I think) to hone my skills ahead of this years’ event on 8th May from midday at the Riverside walk and Library Car Park. So this year it’s going to get feisty…..I am out to win! Yes, I am going to enter into each of the 5 races to give myself 5 chances to get into the final race and take that cash prize…..! So, join me over the coming weeks as training starts for real and I get into shape for the big day. Now, where did I put that wet suit…..? Come on….its still a bit chilly out there you know! Well, what a week it’s been. 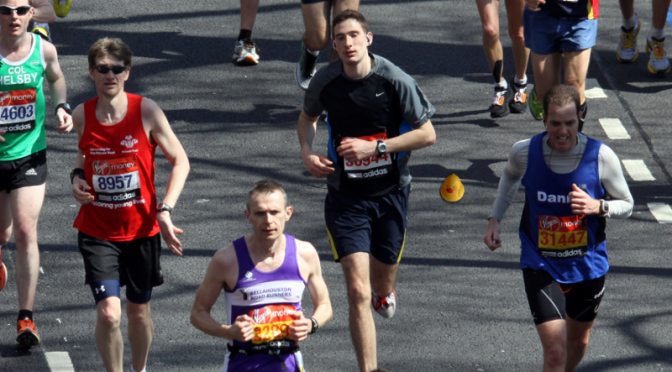 I am one shattered Duck in need of a rest…..
You see Simonetta Cole wasn’t the only Storrington representative in London at The Marathon on Sunday. What? You didn’t see me? How could you have missed me….. Yes, I made it round the 26 mile course in a new P/B of 4hrs 27 mins and there are holes in my trainers and my poor little webbed feet are blistered and battered. So, with only one week to go, its rest and recuperation for me in the last few days before the big day on Sunday 10th May. 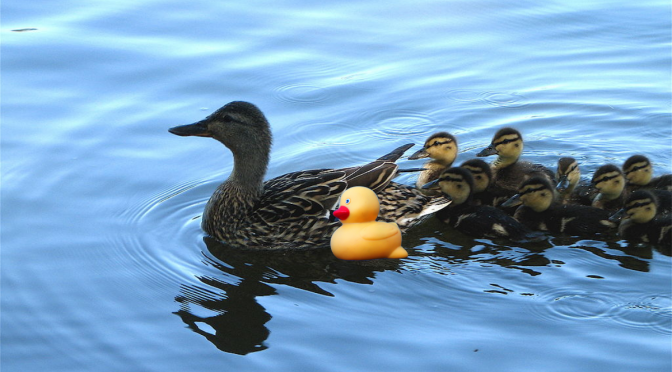 But not all of us ducks are taking race day so seriously, I can tell you a few of our number are far more interested in the ice-cream sales at the school and unless they get a wiggle on they will be carrying a few extra pounds on the big day. That is unless they get themselves to Nancy’s weigh in’s! There’s still plenty of time to get in shape that’s what I keep telling them. And far be it from me to tell you which of my number are in need of a few jogs and sit up’s…..I wouldn’t want to spoil my chances on race day….! Right, where’s that pumice stone…..? So, the kids are back at school today and it was lovely this morning to hear all their noise and chatter about their Easter holidays, it sounds like they all had good rests and are ready for the summer term which see the pool being used once again. And us ducks love it when the pool is being used….once school is closed for the day and everyone is tucked up in bed, we sneak out of the FOSS cupboard and have a splash and a paddle although some of our number use it as a chance to get some serious training for the big day, some ducks are so competitive! Anyway, I don’t know about you but I am so pleased that the sun is now shining. 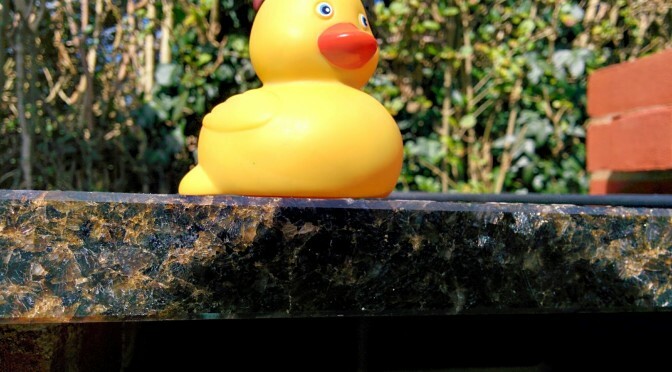 It’s always a long winter for us Storrington Ducks shut up in the FOSS storage cupboard but now we are out, we have been sorted and we are all in serious training for the Duck Race from midday on 10th May. Thanks to Alan’s IT Solutions for hosting our website – couldn’t do it without you ! A Big Thank you to BITS n PC’s in Storrington for their sponsorship this year. Welcome to Chain Telecom Group our first sponsor for 2015! There is still time to get involved by advertising with us, taking a stand or just offering your time, do get in touch as every little really does help. Also, we are now taking bookings for the car boot Sale which always accompanies this event. Sunday 10th May, 12 – 2.30pm. £8 per pitch. My name is Sam the Storrington Duck and welcome to my diary. I am in training for the Duck Race which starts at midday on 10th May. I didn’t win a single heat last year but this year I want to take the top prize. Over the next 7 weeks I will be sharing my adventures and updates as the big day gets closer and closer. So, please share with me your training tips and I will let you know how I get on. And I look forward to sharing my adventures with you….